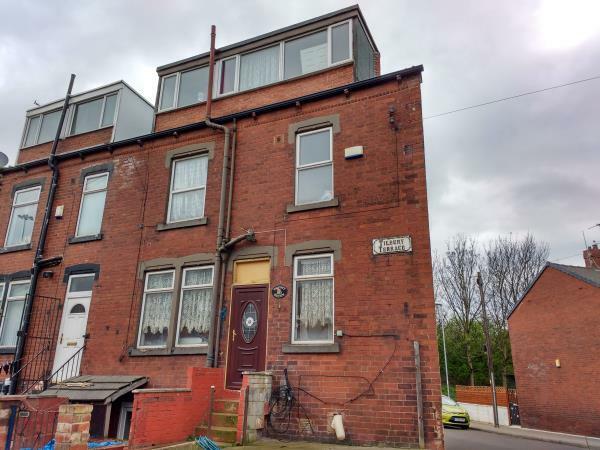 3 Bedroom End of Terrace House For Sale in Leeds for Guide Price £45,500. A double fronted three bedroom end of terrace which has accommodation over 4 floors, with gas mains connected and has double glazing but is requiring full refurbishment and renovation. Ideally suited to the investor or builder the house offers potential after modernisation for re-sale or buy to let options. The house is of a back to back style and is in easy reach of Leeds city centre.